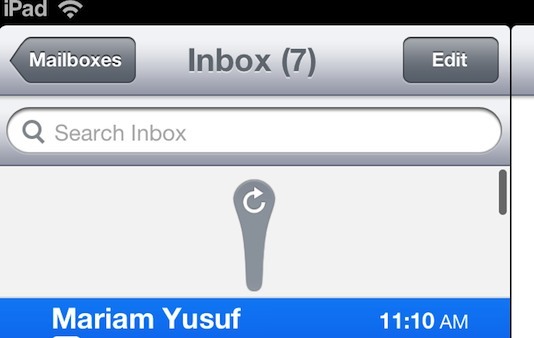 Apple’s stock iOS app, Mail can be used quite effectively for all email related productivity tasks. Below is a list of five tips that enhance the Mail experience and increase efficiency. 1. When composing a new email, it sometimes happen that you want to move the names in the To field to Cc/Bcc field or vice versa. There is no need to first delete and then add the name to the correct field. Any name in the To, Cc or Bcc field can be quickly moved between these fields by just tapping and holding the name and then dragging it to the desired field! 2. Want quick access to the drafts folder? 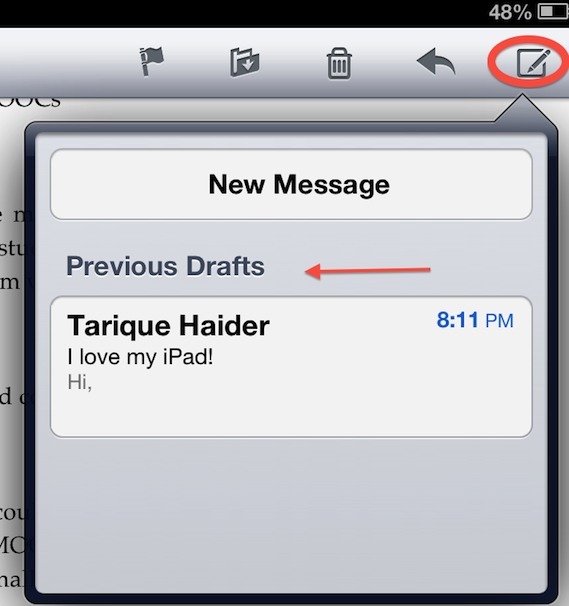 Simply, tap and hold the compose button in the mail app. 3. Quickly delete any message, without opening it, by swiping over the message title in the message list. 4. While a message is open, it can be quickly moved to a folder/mailbox by clicking the folder icon in the top menu and then selecting the destination folder on the left. This can also be used to quickly recover a message from Trash mailbox. 5. Manually check for new email by using pull-to-refresh feature. Tap and hold a message title in the message list, pull it downwards and then release. What’s your favourite Mail app tip? Do share in the comments below!